Cancellation must be made 48hr prior check-in. 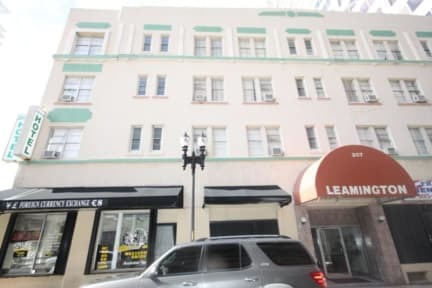 The Leamington Hotel offers the best value for your money in the Downtown Miami Shopping District, just steps away from shops, restaurants and clubs. We are within 5 minutes from Bayside Marketplace, American Airlines Arena and the Cruise Port of Miami. Our multi-lingual staff is on hand 24 hours to help you. We can provide you information about tours to Miami, Everglades, Key West and Orlando. *Failure to check-out by 11:30AM will result in the Credit Card on file being charged a late checkout fee. 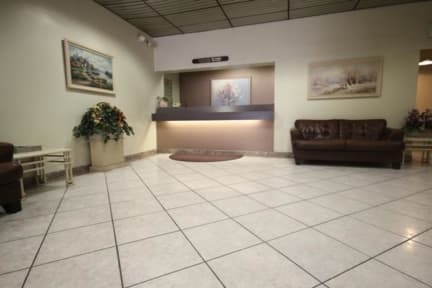 *$5.00 shuttle: 2 carry-on bags, must be booked at the Front Desk 24 hours in advance. Departures at 10:00AM and 3:00PM to Miami Intl Airport, 10:45AM to Port of Miami. No pick up service available.